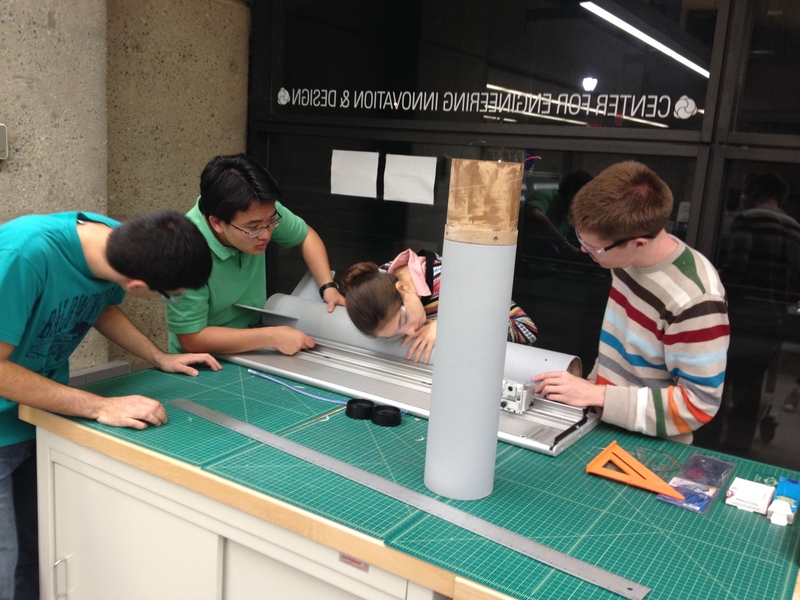 The Rocket Competition Team is currently putting the final touches their prototype rocket, which will fly this Saturday October 9th at the CTRA launch at Gill Corn Farms in New York. The rocket has been named Artemis and will reach 6,000 ft, carrying a GoPro as its payload. The GoPro will test the rockets payload deployment system and take footage of its descent. If you are interested in coming to the launch it is not too late! Email jeffrey.gau@yale.edu to sign up!